#6 at North Freedom, February 12, 2016. Jeffrey Lentz photo. #6 at North Freedom, August 25, 2003. Paul Swanson photo. #90 repainted, January 19, 2002. 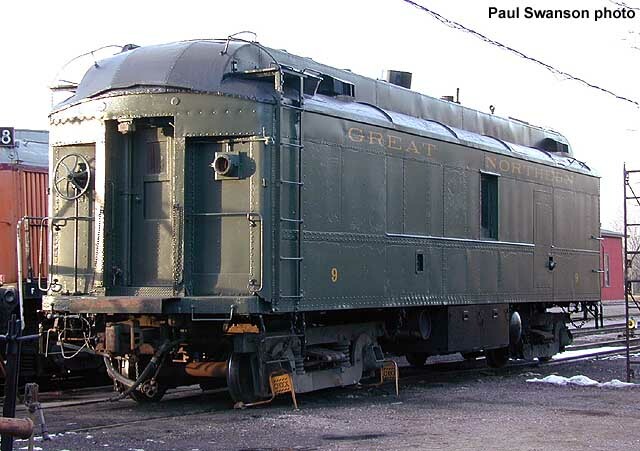 Built as GN #90, the car was one of a pair of RPO (Railway Post Office) mail cars (numbers 90 and 91) delivered to the Great Northern Railway on November 2, 1913 by American Car & Foundry. They were the first all-steel passenger cars purchased by the GN. 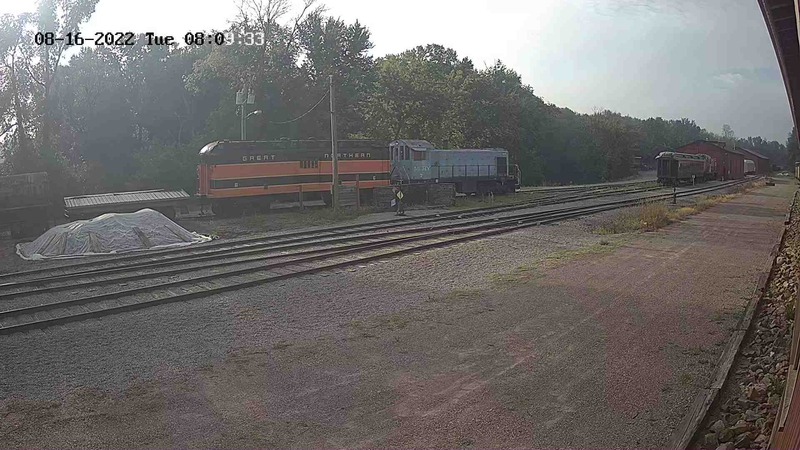 They remained in RPO service until 1926 when both were converted to a mail storage configuration and renumbered (#90 became #19, and her sister became #20). 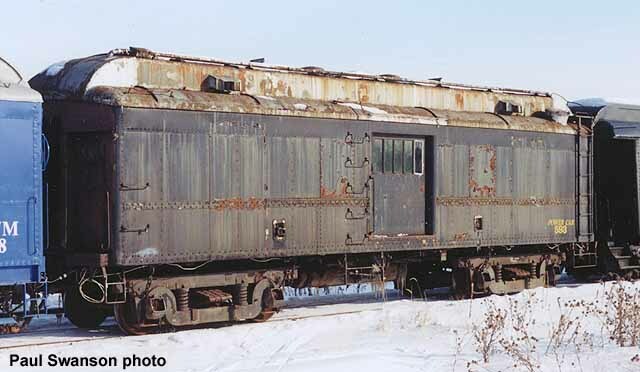 Two years later they were renumbered again (#19 to #200, #20 to #201) and were finally rebuilt into steam generator heater cars (numbered 6 and 7, respectively) in January of 1943. In 1968, the Western Pacific anticipated using freight locomotives to power the California Zephyr and purchased three heater cars from GN (including #6). #6 was renumbered to WP #593 and performed well, proving more reliable than the aging boilers in WP’s F-units. 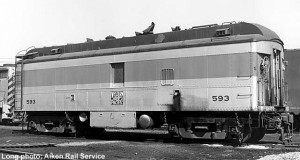 By 1972, #593 was no longer needed and was sold to the tourist railroad Oregon Pacific & Eastern, retaining its number. In 1988, the car was sold to WEBLEA, Inc., a private car owner. 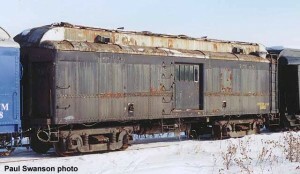 The car was donated to Mid-Continent in July 1992 and shipped to North Freedom from Chicago on its own wheels. 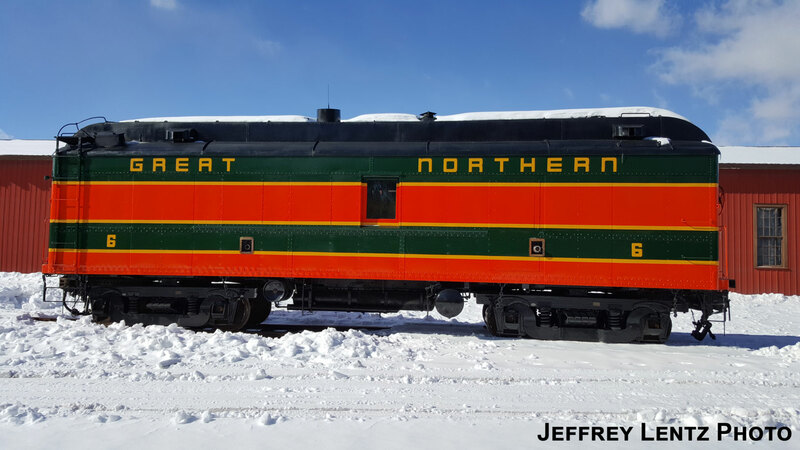 It presently is outfitted with a portable steam boiler to heat the museum’s trains during the winter. In the fall of 2001, it was repainted into Pullman Green. 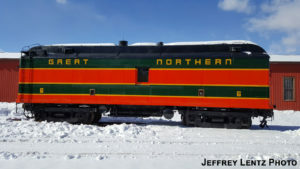 It was repainted again in October 2015 into it’s colorful 1940s Great Northern Empire Builder scheme. 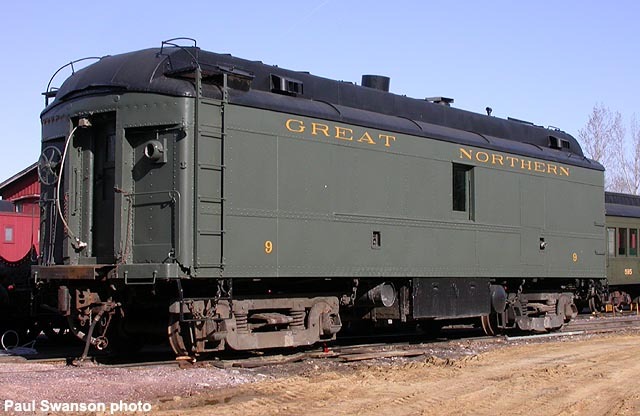 The Great Northern Railroad (GN) was the first of the northern U.S. transcontinental lines and was the product of big Jim Hill. The railroad’s main line from the twin cities of Minneapolis-St. Paul to Seattle served the northern plains agricultural regions and the lumber producing regions of the Pacific Northwest. Lines to Duluth, Minnesota also served the Missabe mining regions. The American Car & Foundry Co., of Jeffersonville, Indiana had its beginnings as the Ohio Falls Car Co., being established during the Civil War. Ohio Falls endured several bankruptcies and the Panic of 1873 to become a major Midwestern car builder. Early on, the firm promoted use of Southern Yellow pine for car construction due to its superior strength. By the 1890’s Ohio Falls’ volume had reached $3 million worth of cars annually. In 1899 Ohio Falls was consolidated into the industry giant American Car & Foundry Co. (ACF). The Jeffersonville plant was closed by ACF in 1945 although most of the buildings survive, utilized for a variety of industrial and commercial purposes.